Want to know how to make it? Follow the recipe below! 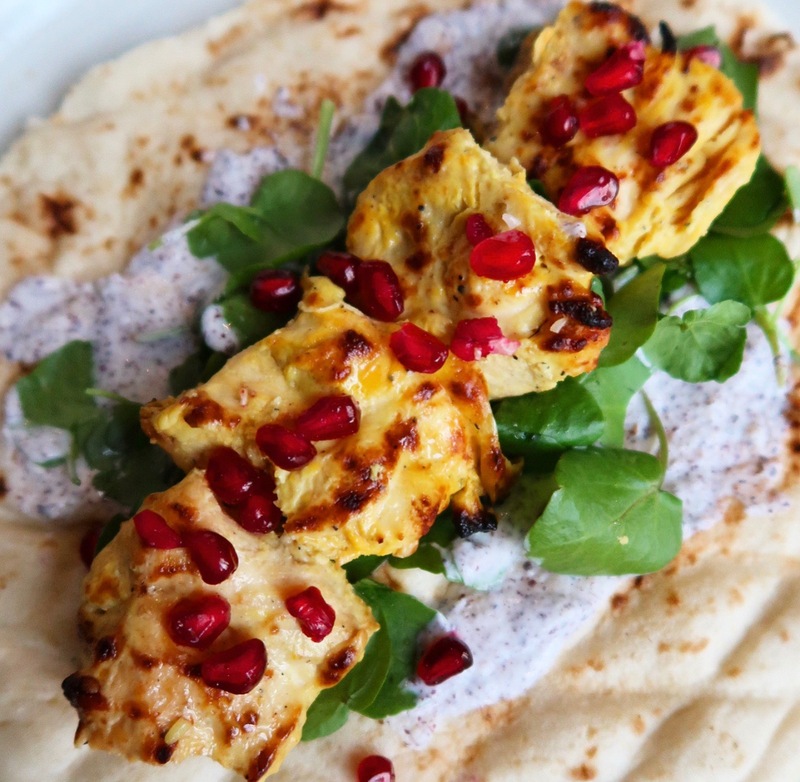 Juicy, zingy, tender joojeh chicken wraps with garlic sumac yoghurt, wrapped in a fluffy hot naan! Combine the onion, yoghurt, oil , lemon juice, liquid saffron, salt and black pepper into a bowl. Pour it over the chicken cubes and keep in the fridge for minimum 7 hours (preferably overnight). Place the cubes on to metal skewers and grill for 15-20 mins, turn the chicken in-between. You can also bake the chicken in the oven, but grilling would be better. Mix in the yoghurt, garlic, sumac and salt until fully combined. 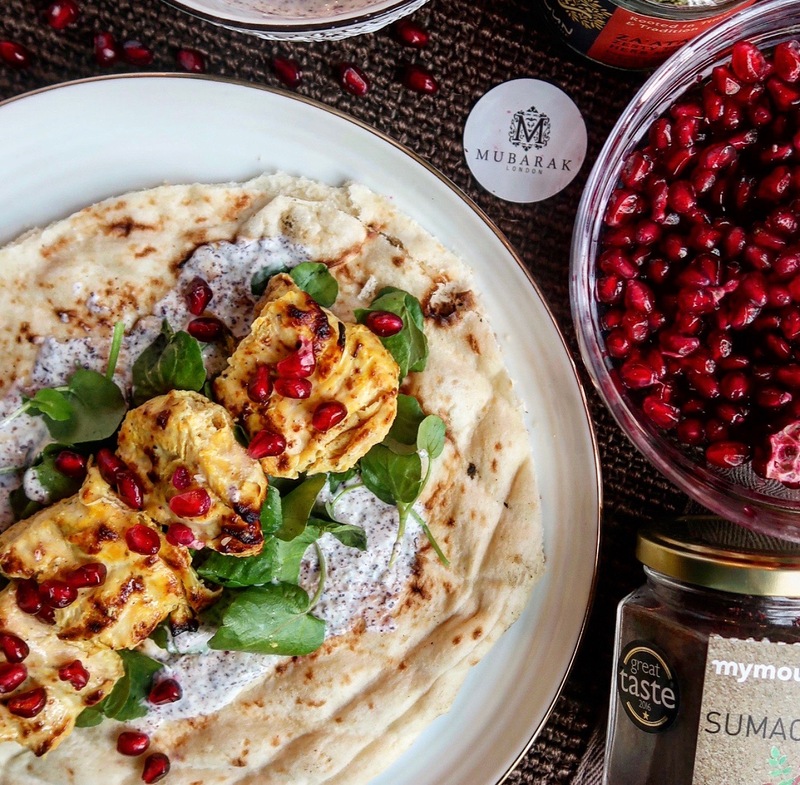 Heat the naan, and spread a layer of the sumac yoghurt onto it. 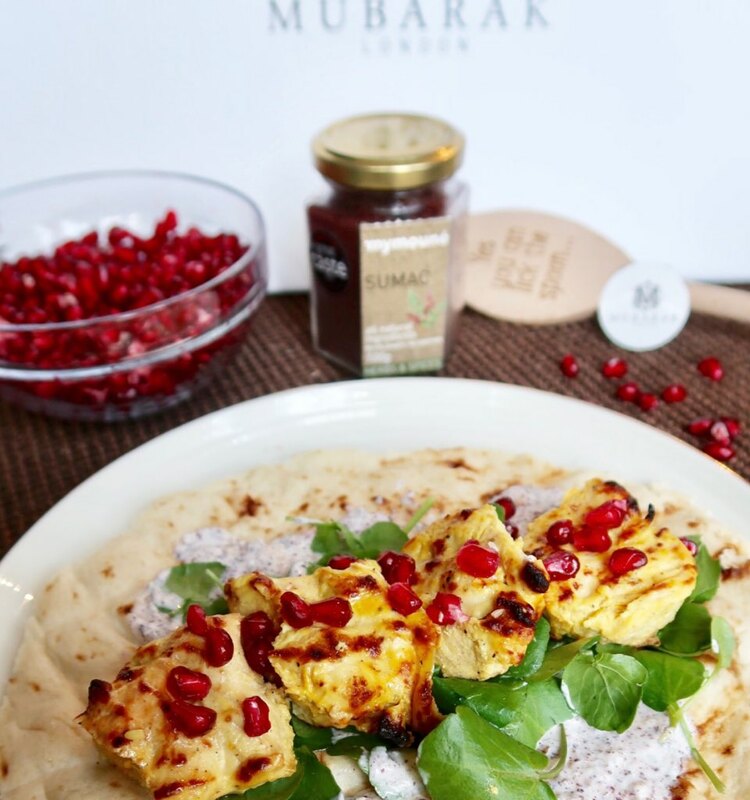 Top with salad leaves, chicken and pomegranate. 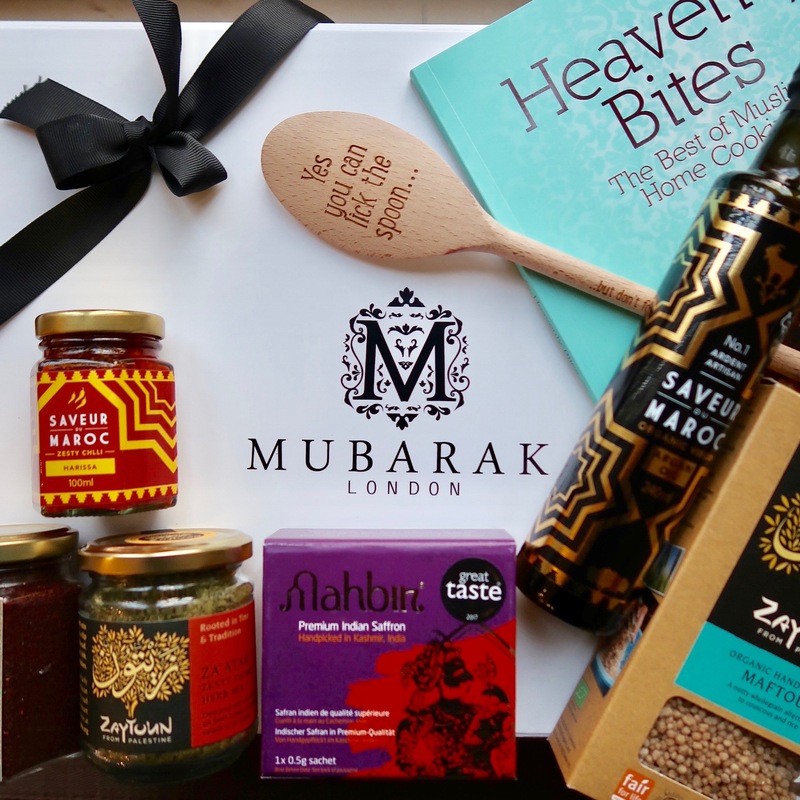 Finally, don’t forget to check out the amazing gift boxes from Mubarak London. They have a range of beautiful boxes, perfect for any occasion – birthdays, graduations, anniversaries, weddings, new borns… you name it! 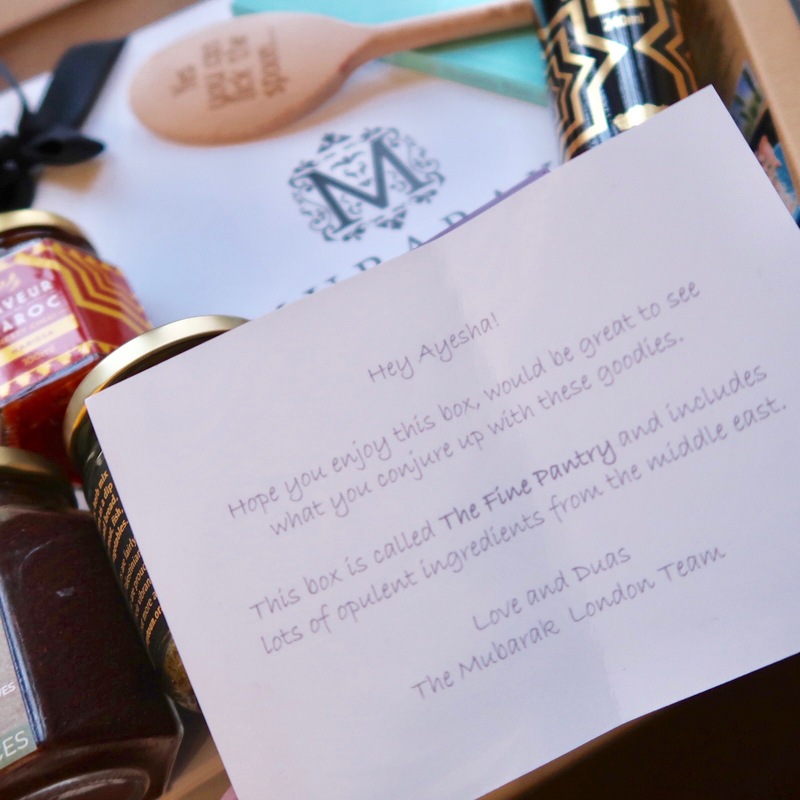 AND best of all… most of them are filled with delicious treats that are perfect for foodies like me! 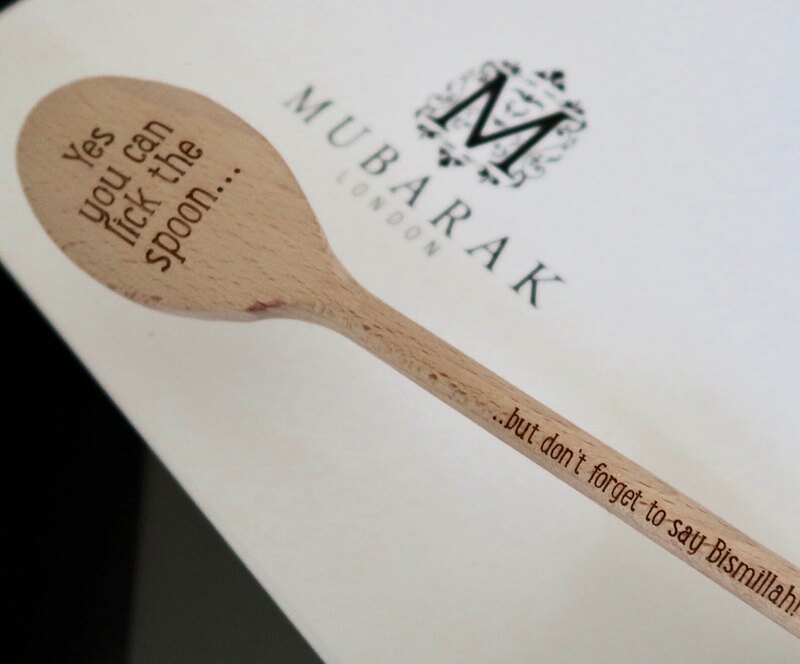 Oh, and did I mention YOU CAN GET 10% OFF WITH THE CODE “MBFHB”? Hurry as the code lasts THIS WEEKEND ONLY! Note: This post contains sponsored content. All opinions are my own.